Because so much of the work we do at NYC Smile Design is of a demanding technical nature, it's always a pleasure to share with our patients some of the philosophical ideas that others have expressed about teeth, as well as some useful information. For instance: one of my favorite quotes is by Thich Nhat Hanh: Sometimes your joy is the source of your smile. But sometimes your smile can be the source of your joy. And, apparently, Shakespeare had thoughts on the subject. In Othello: A smile is the light in the window of your face. On a lighter note, the legendary Hollywood director Cecil B. DeMille coined this advice: Remember you're a star. Never go across the alley, even to dump garbage, unless you're dressed to the teeth. Well, you get the idea. Of course our focus is on ensuring that our patients acquire the smiles they have always hoped for .But we have learned that in addition to building confidence and enhancing the opportunities that confidence and a radiant smile can attract, there is another aspect to smiling that deserves serious consideration: the way in which smiles reveal our feelings and enable others to share them. Recent studies have indicated that smiles can be perceived as revealing the smiler's nationality (depending on who is interpreting the smile, and what country they are from). More to the point, Dr. Paula Niedenthal has been studying the studies on the subject of smiles; there are many, just as there are many aspects to consider. One way in is to simply analyze the purely physiological genesis of a smile: what muscles, what tendons, what bones are actually used in producing it? 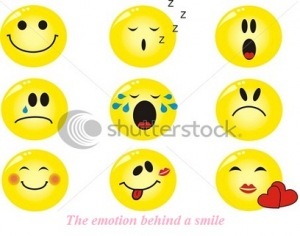 Another topic requires analyzing the connection between emotions and the kinds of smiles they produce. Do they signify joy? Pleasure? Embarrassment? Surprise? Some scientists have zeroed in on the brain itself, both in the way it interprets smiles, and by the way it encourages us to make a smile in the first place. And others have chosen to observe our closest relatives, chimpanzees, whose ability to smile in a variety of ways can teach us something about ourselves. In the end, though, the most significant benefit of a beautiful smile is that it can create a strong social bond between people: professional, social, perhaps even romantic. We are proud to be able to encourage all of them.